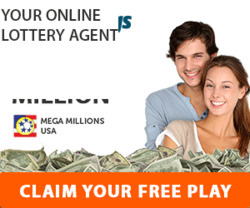 LottoKings is offering an official FREE ticket to the US Mega Millions lottery, just for signing up to their website. To take advantage of this welcome offer, you need to visit LottoKings.com by clicking on the button under this article. The MegaMillions lottery is officially the biggest lottery in the world. At one point, the jackpot was an incredible US$656 MILLION. Draws are held twice a week; on Tuesdays and Fridays at 11:00 p.m. Eastern Time.